I’ve always been fascinated by swords, especially magical swords. I can remember as a kid growing up without TV, so a lot of my time was spent reading books. You might say I was a bookworm, and I always loved adventures where the hero saves the day. One of the most famous adventures that I loved to read about was the story of King Arthur and the round table. Not only was I fascinated by the Merlin the wizard and King Arthur’s knights but I also resonated with the underlying theme that only a good person (Arthur) could become King. The fact that nobody else could release the magical sword Excalibur from the stone emphasized the point that only the most worthy and righteous of people should be crowned King. 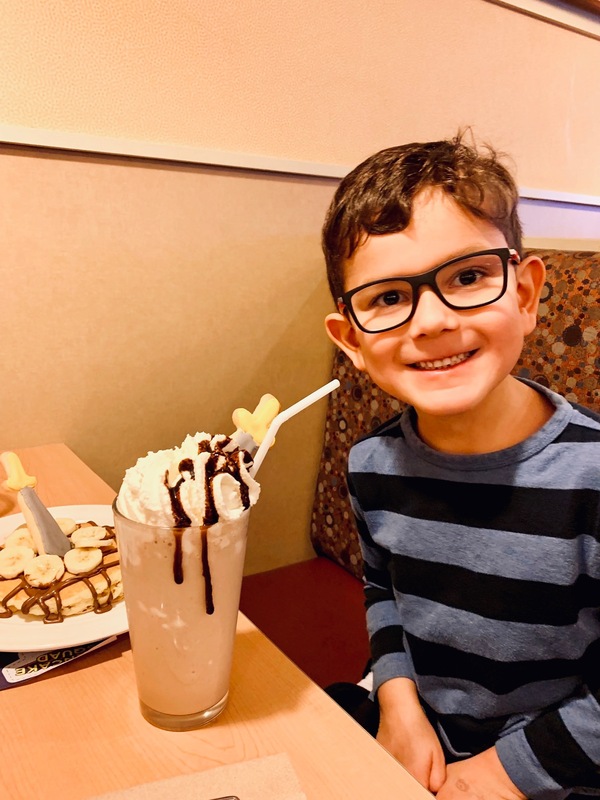 Fast forward to 2019, and I’m enjoying a family friendly meal tasting IHOP‘s newest menu items that are specially made to connect kids with this same story. 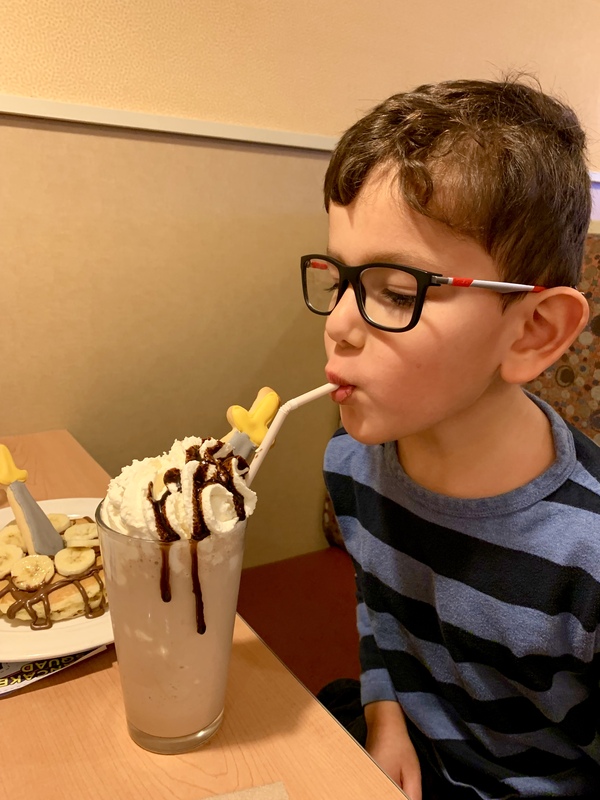 Starting at the end of January, IHOP is offering two whimsical fun menu choices that celebrate the release of 20th Century Fox’s latest family adventure film “The Kid Who Would Be King” (The film opened January 25, 2019). 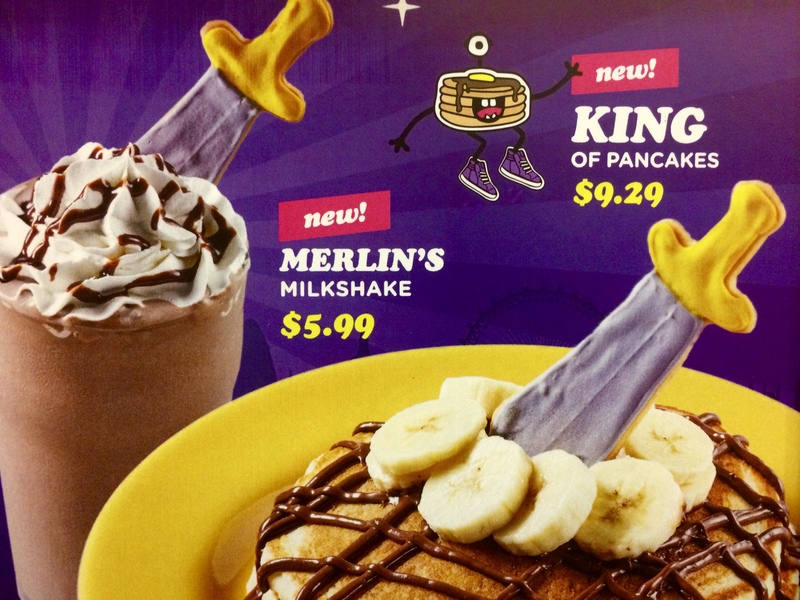 The first menu item is the King of Pancakes comprised of two Buttermilk pancakes covered with delicious chocolate and hazelnut sauce and banana slices topped with an edible cookie in the shape of the sword Excalibur. The second fun menu item is Merlin’s Milkshake, a delicious chocolate (or chocolate and hazelnut) milkshake topped with whipped cream and an edible Excalibur sword. Not only do kids (and especially my son Dylan) find the sword cookie to be a tasty treat, but they can also enjoy the other fun games and a mobile app that brings the film to life. 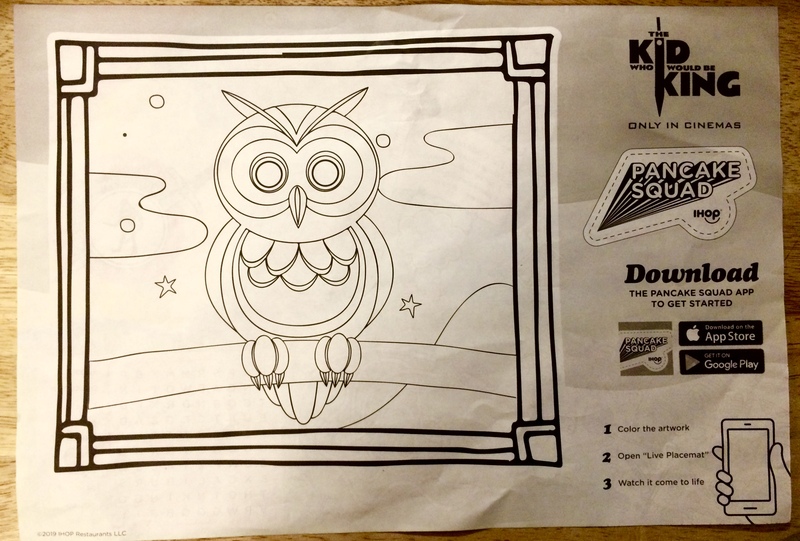 The activities include a special placemat that incorporates characters and elements from the film. 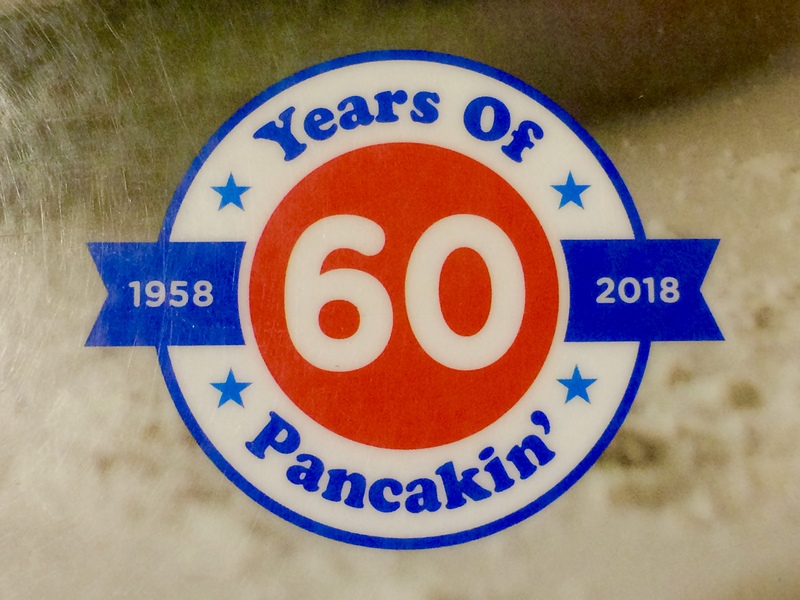 IHOP has been around for a long time – they’re celebrating their 60th year of operations (50 in Canada!) offering fresh make-to-order breakfast options. 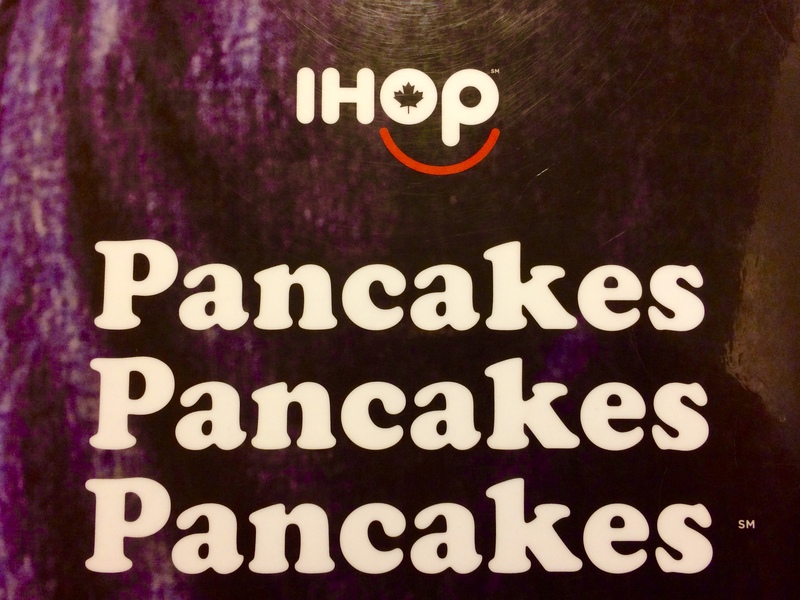 With more than 1,750 IHOP restaurants around the world, including locations in all 50 states, the District of Columbia, Puerto Rico, Guam, Canada, Mexico, Guatemala, Panama, Lebanon, the Kingdom of Saudi Arabia, Kuwait, United Arab Emirates, Bahrain, Qatar, Thailand and India. Part of IHOP’s partnership with 20th Century Fox is the creation of the Pancake Squad App that you can download for free on your mobile device (You can download the app here: Apple iTunes or Google Play). The app magically reveals augmented reality 3D characters and images from the film, and it also allows you to play a variety of fun games, including a “Photo Booth”, “King’s Quest” and a “Seek & Find” game. 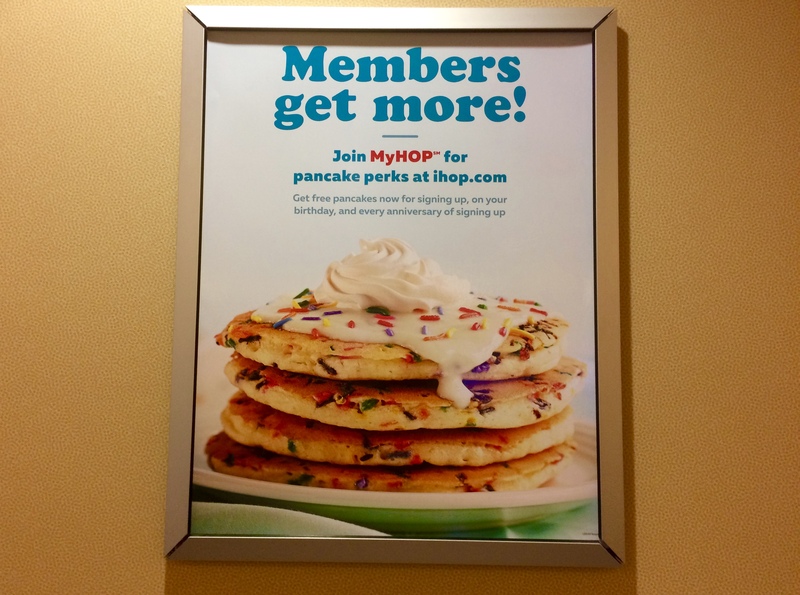 For those of you who want to get even more out of your IHOP experience, you can also sign up at MyHOP for pancake perks at ihop.com. That way you can get free pancakes for signing up, on your birthday, as well as every anniversary of signing up. 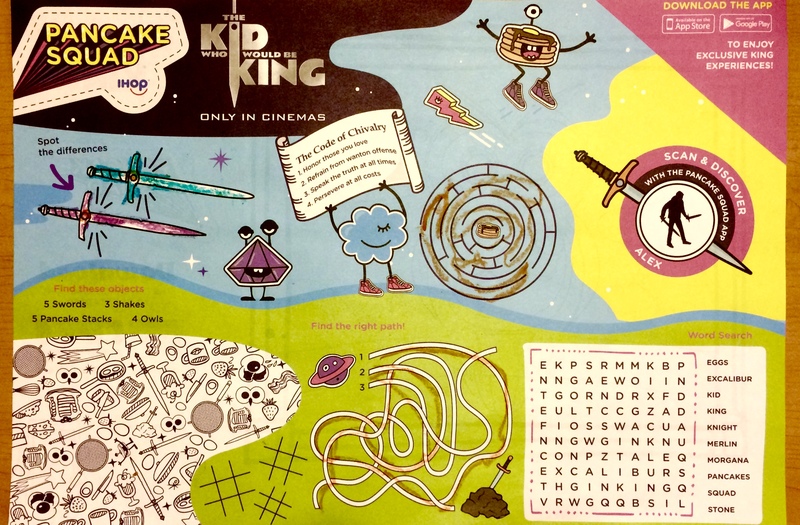 Please note that the “Kid Who Would Be King” promotion will be in participating restaurants locations in Canada through February 24, 2019.